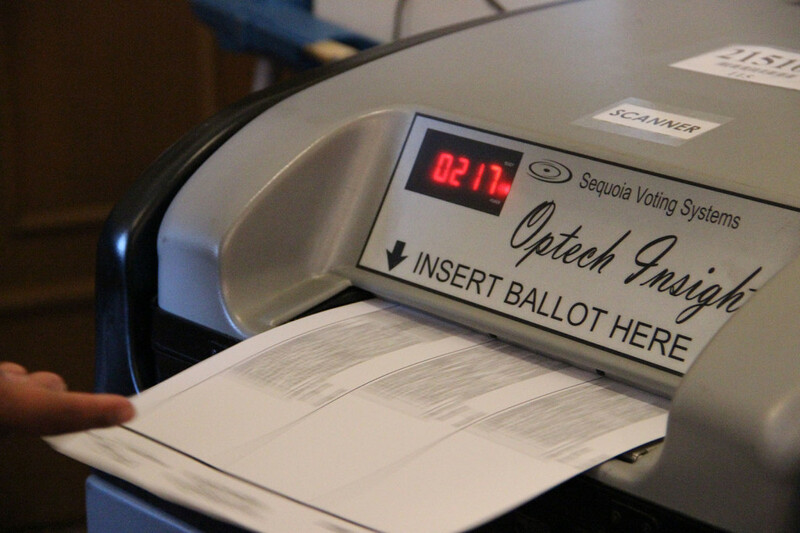 According to Michelle Kim of the registrar’s office, the voting algorithm for the mayoral election was run 15 times between late Tuesday night and early Wednesday morning. Schaaf led the first-choice voting, with 29.11 percent of votes counted — a clear lead over incumbent Jean Quan, who gathered 15.81 percent of first-choice votes, but not enough for Schaaf to declare victory. Her percentage of the vote stayed between 29 and 30 up until the 11th round of voting, when it began to climb as she picked up votes from residents who had supported other candidates with their first or second choice votes. In the final iteration, Schaaf won 62.79 percent of the vote, and Rebecca Kaplan came in second with 37.21 percent of the vote in the 15th round. Quan dropped off in the 14th round. Schaaf’s victory has not yet been ratified by the Registrar of Voters. The result, which was posted at 12:44 am, is unofficial, Kim said this morning. Absentee ballots and ballots by mail are still being processed, and Registrar of Voters Tim Dupuis estimates that there are as many as 100,000 left to be processed in Alameda County. Schaaf’s campaign plans to hold a press conference at 12:30 today; Oakland North will cover it. Governor Jerry Brown, the former Oakland mayor who endorsed Schaaf earlier last month, has also declared a victory, with a 17-point lead over his Republican opponent Neel Kashkari. The two ballot measures that Brown heavily campaigned for – Propositions 1 and 2 – also passed. Proposition 1, which passed with 66.8 percent of the vote, authorizes funds to be spent on state water supply infrastructure, including drought relief and preventing the contamination of drinking water. Proposition 2, also known as the State Budget Stabilization Account, passed with 68.7 percent of the vote. It creates a “rainy day fund” that the legislature and governor will use to pay off debt and protect vital services against potential cuts in times of deficit. The final results of the races for Oakland City Council have also yet to be announced. Abel Gullien currently leads District 2, the closest of the races, by just one percent of the first choice votes in the fifth round of ranked choice balloting. Annie Campbell Washington leads District 4 by about 30 percent of the first choice votes in the first round. Incumbent Desley Brooks leads District 6 by 17 percent in the fourth round. Voters also approved Measure Z, a public safety and crime prevention measure, levying a parcel tax and parking tax to fund police staffing and community violence prevention and intervention programs. Under California law, Measure Z required a two-thirds supermajority to pass because it is a parcel tax; it reached this supermajority, winning 77.05 percent of the vote. Alameda County voters also passed a transportation sales tax measure that that will raise sales tax by a half of a percent over the next 30 years. Measure BB will raise $3.7 billion to be spent on public transit and para-transit, and $2.34 billion for street repair. Measure BB also needed a two-thirds majority to become law, which it reached with 69.56 percent of the vote. 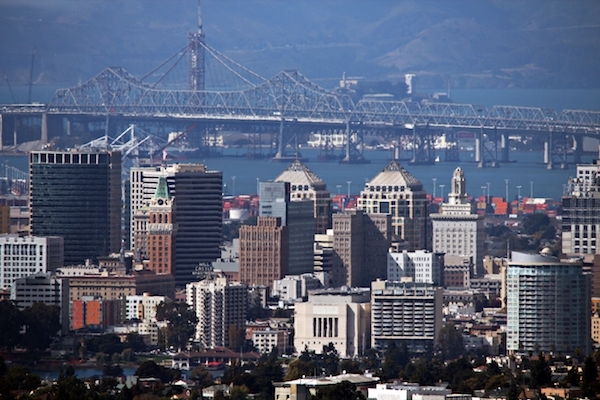 Oakland’s minimum wage increase proposal, Measure FF, passed with 81 percent of the vote. Low-wage workers must receive $12.25 an hour starting on March 1, 2015. “I am absolutely elated and excited for the workers of Oakland that will benefit from this,” said Gary Jimenez, President of the Lift Up Oakland campaign responsible for creating and promoting the measure. “To see an overwhelming vote just shows that we were in touch with the needs of the community,” he said. But the majority of California voters rejected the measure related to Indian casinos, as well as both measures related to healthcare – Propositions 45 and 46. Proposition 45, which would have allow the state health commissioner to approve or deny increases in health insurance, lost by a 20 percent margin. Proposition 46, which would have raised the Malpractice Lawsuits Cap and required drug and alcohol testing for doctors, lost by a 27 percent margin. Based on the Secretary of State’s October 20 registration report, preliminary numbers from voters at yesterday’s polls and ballots turned in by mail before Monday afternoon, voter turnout in Oakland was 25 percent. But Dupuis expected final turnout to be closer to 45 percent after the remaining votes are counted – which is still considered low after the last presidential election saw a turnout of 75 percent. The registrar’s office has 28 days to officially announce the result of the election. Oakland North will continue to cover local election results. Stay tuned to OaklandNorth.net for more coverage. Additional reporting by James Pace-Cornsilk, Alex Kekauoha and Alyssa Jeong Perry. CORRECTION: This story was updated at 1.04pm to reflect the fact that CJCJ’s analysis of Proposition 47 looked at savings to the jail system, which is run by counties, rather than the prison system, which is run by the state. Mayor-elect Libby Schaaf, right, is shown with husband, Salvatore Fahey, son, Dominic, 9, and daughter, Lena, 7, after casting her ballot at the Alameda County Registrar of Voters Office, Nov. 4, 2014. Photo by Deana Mitchell. After the first year of “savings,” what is the second year’s? Pity ON got sucked up in the world series aspect of the mayoral race instead of trying harder to distinguish policy differences between the candidates. I won’t even go into your shocking failure to cover the Auditor race because for all your community service orientation you’re subject to limits on your staff time just like commercial media. Disappointed is the better word, only because many of us expected better of ON. You might at least explain that to your readers and the community and help all of us understand and overcome the limitations the media faces covering local Oakland government.